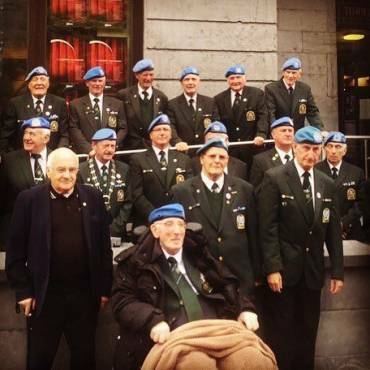 In 1961, Irish forces were dispatched to the Congo as part of a peacekeeping mission from the UN. A Company, part of the 35th battalion, was stationed at Jadotville. On September 13, in the middle of a morning Mass, they were under fire from Katangan soldiers. Despite the overwhelming odds against them, not a single soldier from A Company died during the forgotten battle of the Irish Army. 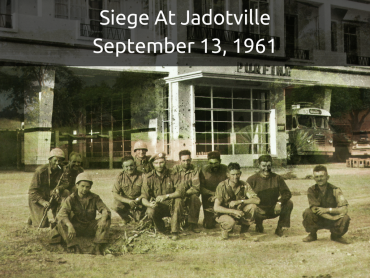 For a long time since the battle – a siege lasting four days – the soldiers at Jadotville received no official commendation from the State. Pat Quinlan, the unit’s Commandant, died in 1997. His service in the Congo went unacknowledged, despite the appeals from his fellow veterans regarding the life-saving decisions he made during his time in Jadotville. 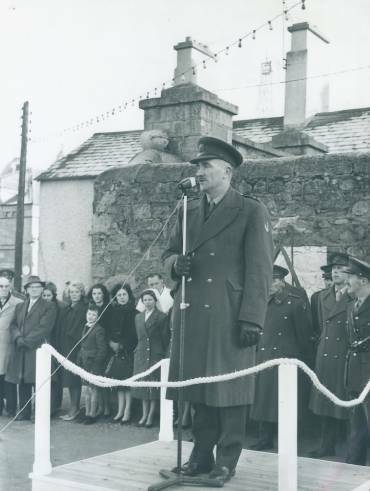 In 2004, after a campaign for the recognition of the battle by John Gorman, then Minister of Defence Willie O’Dea held a full review of siege. A Company and Pat Quinlan were cleared of any misconduct in their duties in battle. While the reversal came late, it marked an important time in Irish military history. 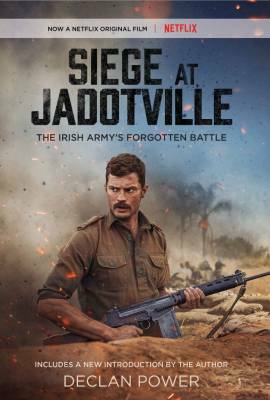 In the years since the review of the battle of Jadotville, the actions of the soldiers who fought for their lives have become well-known and admired. 55 years after the siege, after the recognition of their work in the Congo, A Company will receive a Unit Citation from the Irish State for their action. At the same time, the world will be shown their story in the Netflix adaptation of Declan Power’s Siege At Jadotville. With its original premiere in the Galway Film Fleadh, and a Dublin premiere on September 19, this marks the public acknowledgement of the heroes of Jadotville in a way that could never have been imagined when the soldiers returned from their mission. Siege at Jadotville is Declan Power’s acclaimed book on the men of A Company, 35th Battalion of the Defence Forces, who were deployed to protect the inhabitants of the village of Jadotville in the Congo in 1961. Days after their deployment, A Company found themselves out-numbered and engaged in a pitched battle with native Congolese soldiers led by white mercenary officers. In addition to the overwhelming odds, A Company also had to contend with being strafed by a jet with no anti-aircraft defences to defend themselves. Appeals for re-supply from UN forces went unheard. A number of attempts by Irish troops deployed in the vicinity failed. After firing their last round of ammunition and engaging in hand-to-hand-combat, Comdt Patrick Quinlan decided against the needless death of his men and ordered them to surrender. The new edition will be published on October 6, 2016.